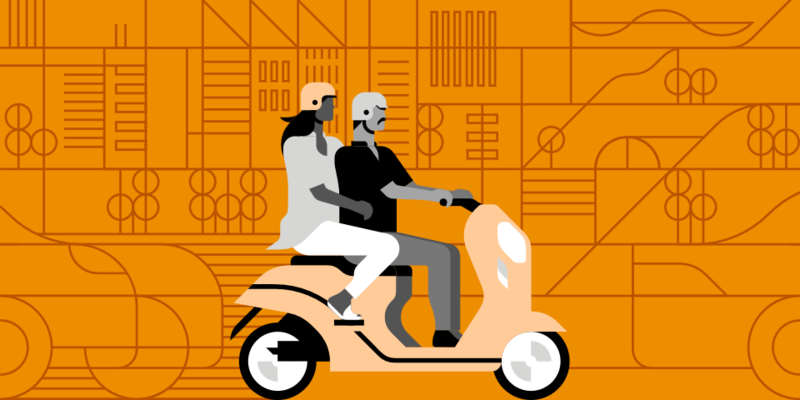 UberMOTO Comes to Jaipur after Gurgaon & Hyderabad; Fares Start at Just Rs. 15! Gurgaon was the first city to get proper operations of uberMOTO, followed by Hyderabad this year. UberMOTO is the cheapest offering from Uber, with fares as low as Rs. 25 in Hyderabad and Rs. 35 in Gurgaon. Now, the company has introduced uberMOTO to the third city in India, Jaipur. From today onwards, people in Jaipur will be able to hire a bike taxi for the same route they would have taken a taxi. Users will be able to book bikes under the new uberMOTO option on the app, get the driver’s location, name and bike’s plate number and will get the ability to share the trip details with friends and families. It works exactly the way a cab ride does. Uber has launched almost 200 bikes for now and will increase the inventory as per the demand. This initiative is also aimed at increasing the jobs in Rajasthan, as a part of the ‘Resurgent Rajasthan’ summit. The Government had started planning for the same last year in November. This new feature makes rides so much more affordable and convenient for people in Jaipur, considering it is not a metro but is a decently large city. The company hasn’t released a detailed tariff list yet, so stay tuned for more. "UberMOTO Comes to Jaipur after Gurgaon & Hyderabad; Fares Start at Just Rs. 15! ", 5 out of 5 based on 1 ratings. Google Enters Food Delivery & Home Services Space in India With Areo App! Indian skies getting busier !